Well done to the Boys' Gaelic football team for their success in the Cumann na mBunscol Aontroim Joe Mc Callin Perpetual Cup. 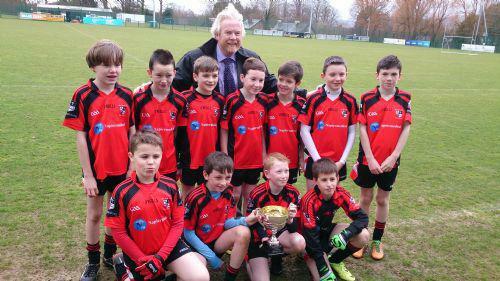 The boys played St. Kieran's PS in the B League final last Tuesday. The result was St. Bernard's 8:3 to St. Kieran's 0:8. The match was much more competitive than the score would indicate! Our team is now promoted to the A League. Well done boys!